Spellerberg Projects presents exhibitions and public programs featuring local, national, and international artists. A non-commercial gallery / DIY space, it is a project of Spellerberg Associates, a design and development consultancy serving clients in arts and culture. 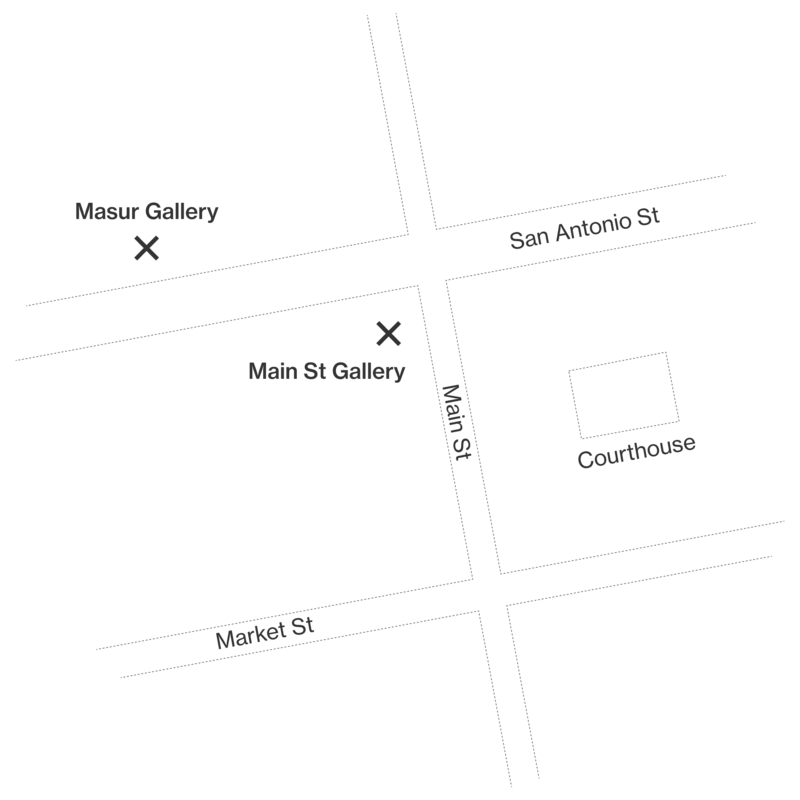 We operate two locations in the historic district of Lockhart, Texas: The storefront Main St Gallery at 103 S Main St, with artist studios behind; and, around the corner, the Masur Gallery, on the first floor of the historic Masur Building at 119 W San Antonio St. Artist proposals and rental inquiries welcome. No calls or postal mail, please.